Following through on its commitment to “make mine Marvel,” where “mine” is the majority of superhero films over the next three to five years, Disney is moving forward on an adaptation of Dr. Strange with screenwriters Thomas Donnelly and Joshua Oppenheimer (who recently penned that Conan reboot) attached. A proposed film version of Dr. 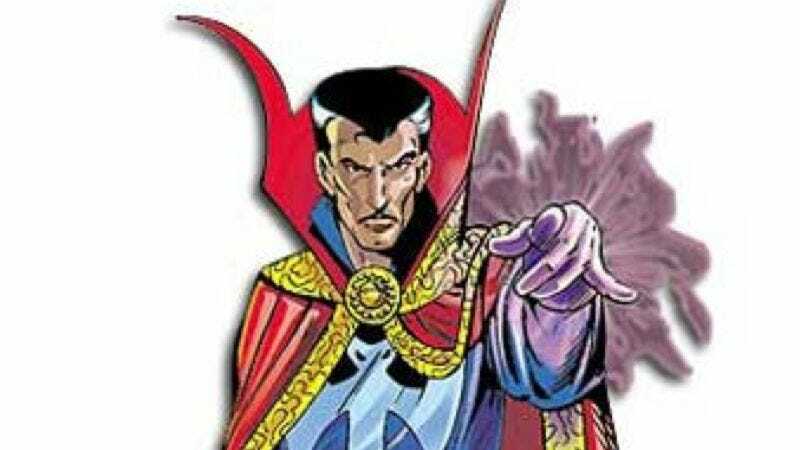 Strange has been kicking around Hollywood since at least the 1970s, with various names—including Bob Gale, Wes Craven, David S. Goyer, Guillermo del Toro, and Neil Gaiman—attached at various points to help bring him to the screen. And for various reasons, they never succeeded, save a 1978 TV movie (and failed pilot) starring Peter Hooten which—despite Stan Lee’s endorsement, Hooten’s impressive Gabe Kaplan ‘do, and a pre-Arrested Development Jessica Walter as sorceress Morgan Le Fay—found itself decimated in the ratings by a little series called Roots. Now that Marvel has recaptured the rights, Disney seems determined to make good on the more than three decades’ worth of trying, and turn Dr. Strange into its very first Marvel banner. In some ways, it’s an unusual first choice for the mostly family-friendly studio, as Dr. Strange is an unusually dark superhero: He’s a “master of black magic,” a self-absorbed neurosurgeon who overcomes a debilitating accident with the help of the occult, and who spends much of his time battling supernatural beings in twisted, surrealistic landscapes. Here’s hoping whoever they get to direct manages to keep that sensibility intact.